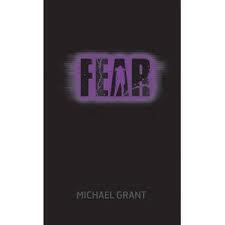 Spoilers for Michael Grant's first four books in this series comes fast and furious below! Darkness is falling in the FAYZ. The dome that isolates the children from the outside world is turning black, and Sam, Astrid and the rest know that this could be the worst thing yet to happen to them. I'm leaving the plot summary there, because it deserves to be read with as few spoilers as possible. Getting that out of the way, then as long as you can cope with violence, you won't want to miss this one. There's some really interesting developments in both the plot and in several characters' stories, and Grant has created one of the most compelling worlds I've read about for years. What strikes me most when reading this is how well he does the human side of the story. Yes, Sam can fire light from his hands, Brianna runs like the wind, and Drake has a tentacle instead of a hand, but it never feels like it's just about their powers. In fact, one of the most interesting parts is the way people like Albert, Quinn and Edilio are realistically depicted as amongst the most important figures in the FAYZ despite having no special powers. Particularly notable are the way Albert continues to develop into a darker character, and an absolutely wonderful scene between Brianna and Dekka which I don't want to give away anything about but which I loved. There's also a significant development outside the dome, in the story of Sam and Caine's mother, which left me intrigued as to what we're not finding out yet. In fact, there appears to be an awful lot we're not finding out yet. Of course, that's where Grant's track record is crucial. If this was one of the first books in a series, I think there's enough not being answered that this would frustrate me. (In particular, how Little Pete is doing everything he's currently doing.) As it is, Grant has proved himself to have such an incredible grasp on his world that I'm happy to assume that he knows what's going on, and that everything will be revealed to us in Light, the final book in this series. Strong recommendation, with the aforementioned warning for weak stomachs! I think fans of this one would also really like Scott Cramer's excellent Night of the Purple Moon, which also deals with a society with no adults.